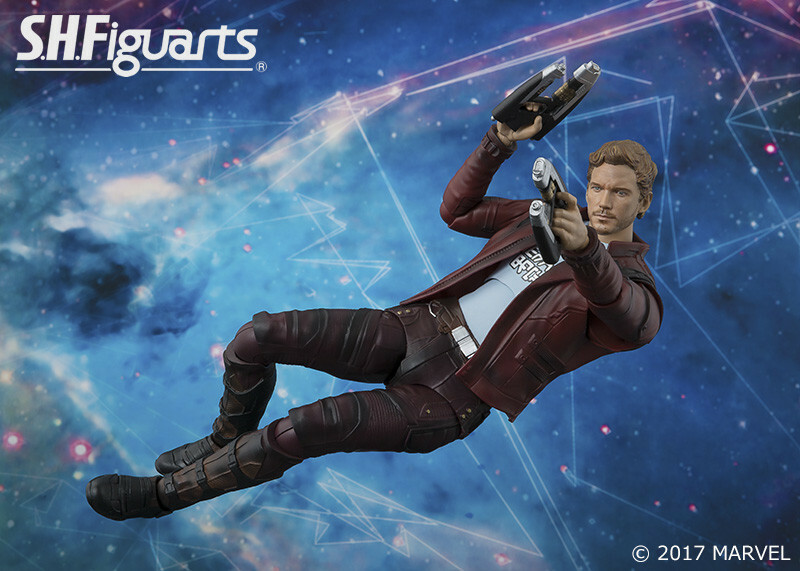 Earlier this month, we shared photos of the upcoming S.H. 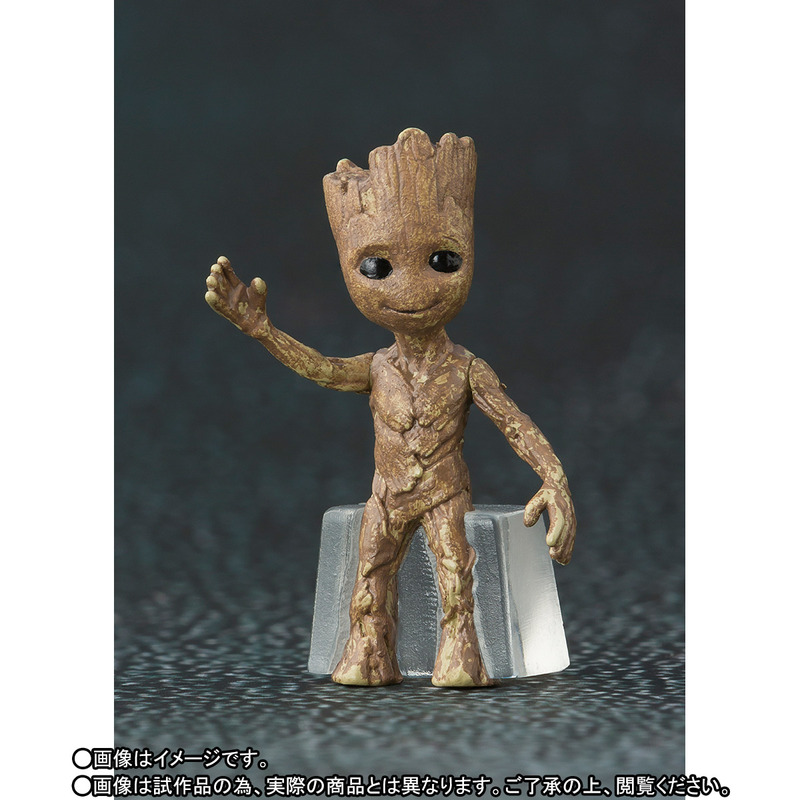 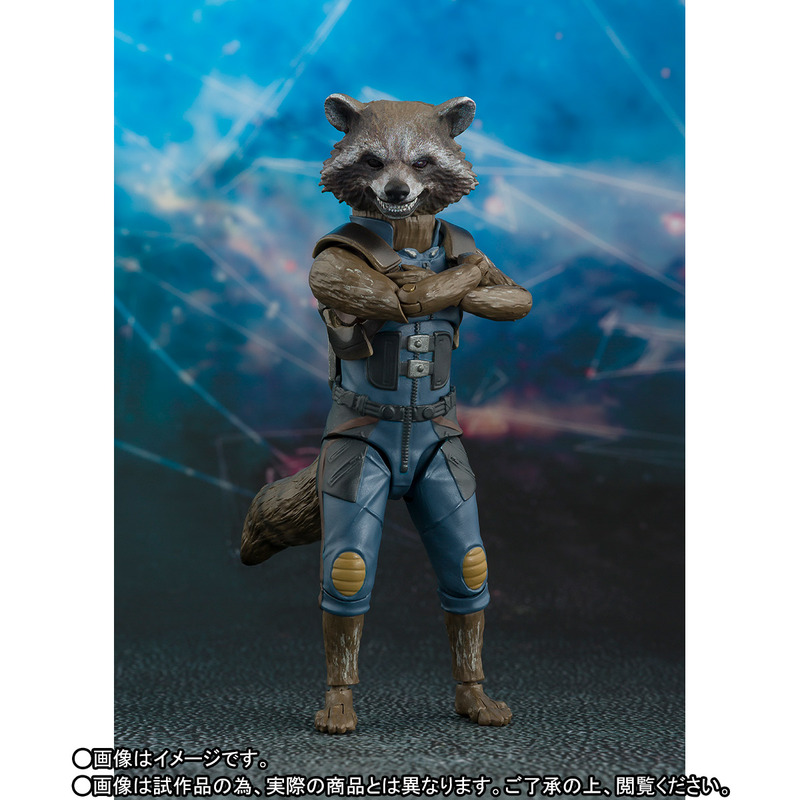 Figuarts Guardians of the Galaxy Vol. 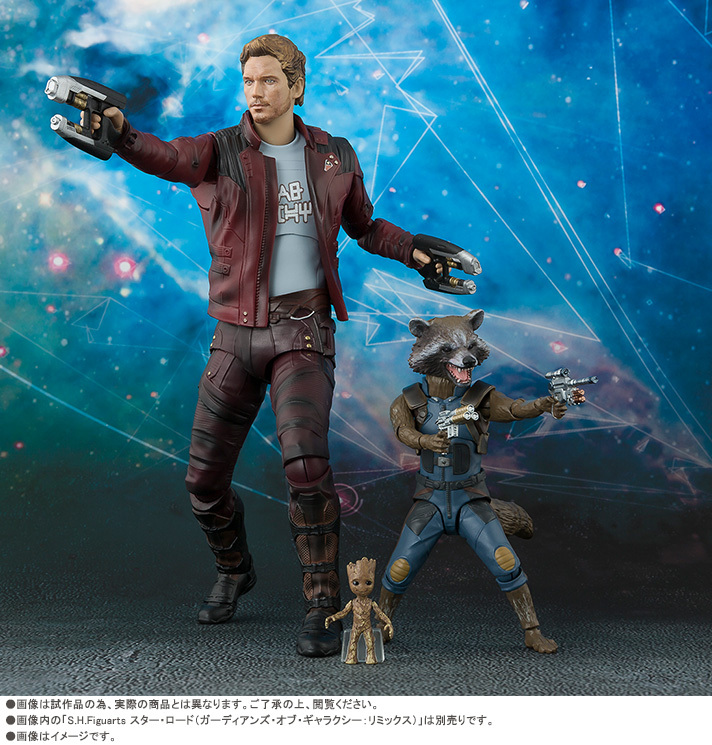 2 Star-Lord, Rocket Raccoon and Baby Groot Figures. 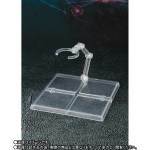 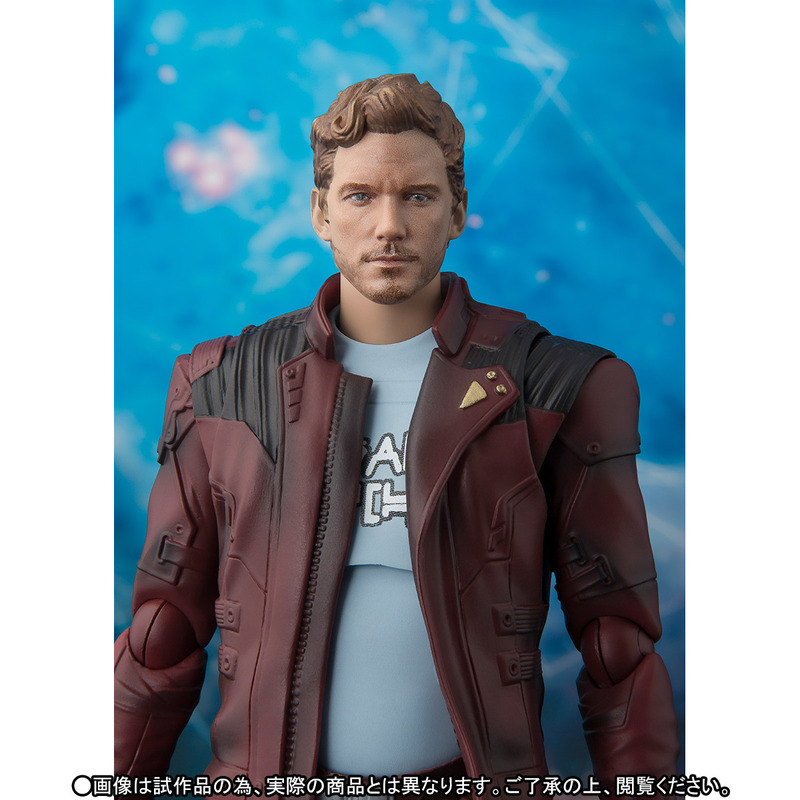 Bandai has updated listings for the figures, and it looks like the Bandai Premium Web Exclusives will not all be lumped together in one release. 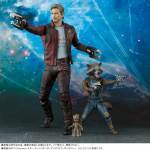 They now have separate listings for Star-Lord and a Rocket Raccoon with Baby Groot Set. Star-Lord stands just over 6″ tall. The figure will include both masked and unmasked head sculpts.He will also include interchangeable hands and two blasters. 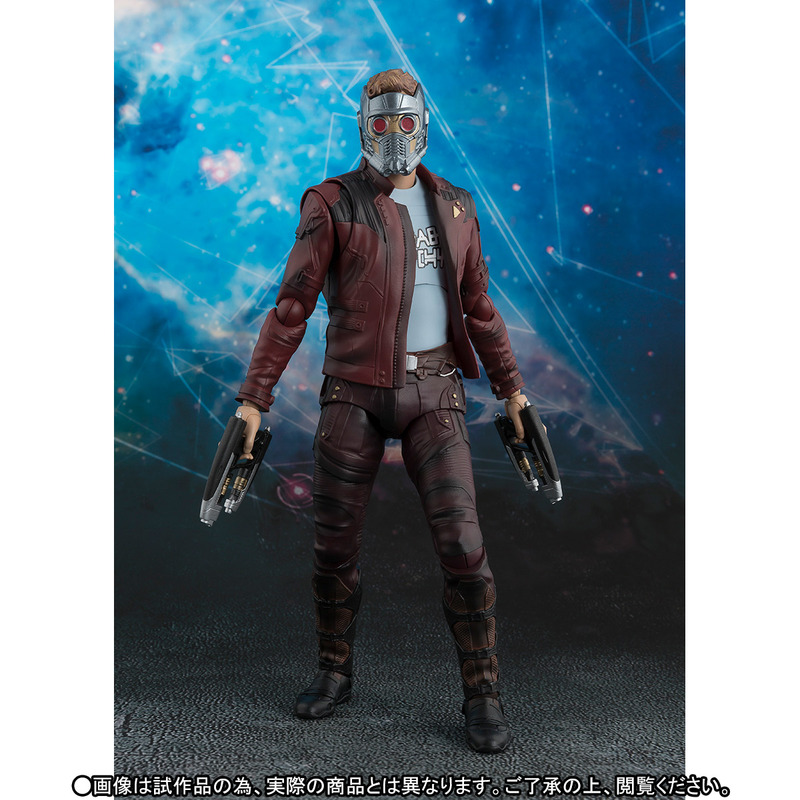 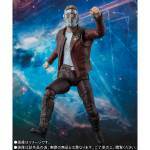 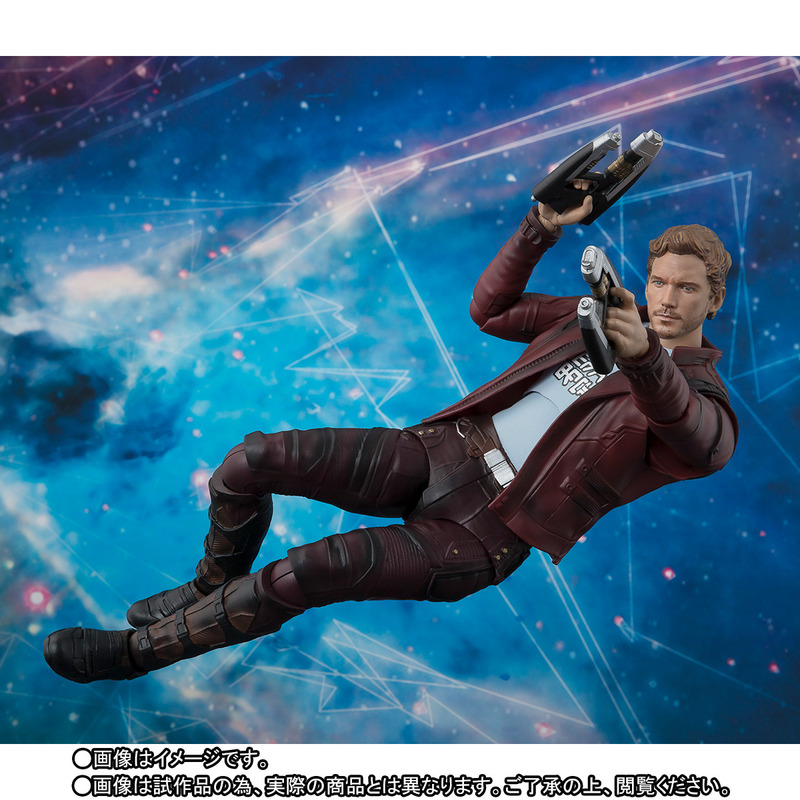 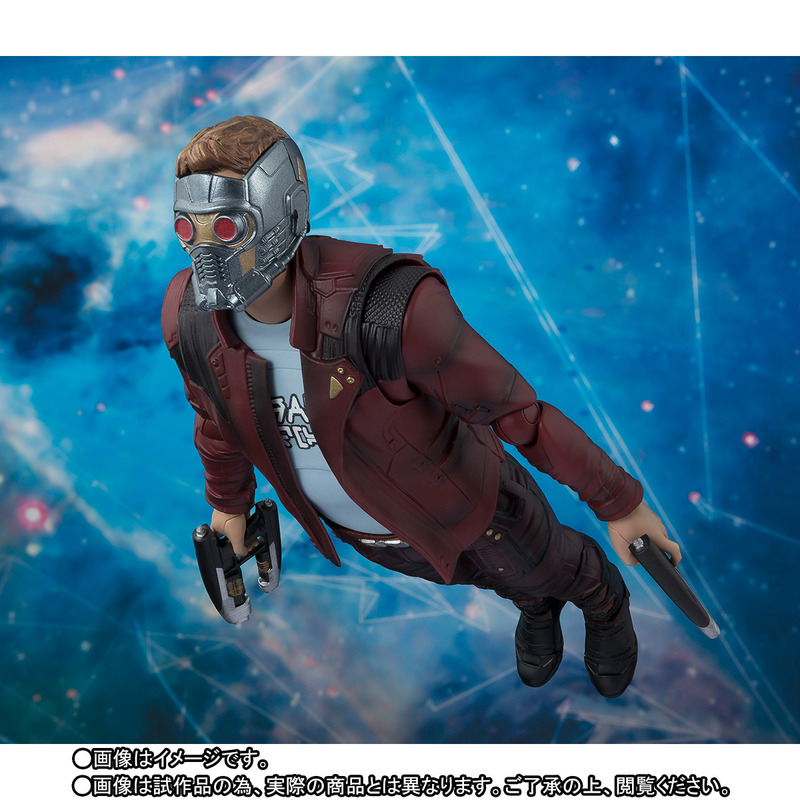 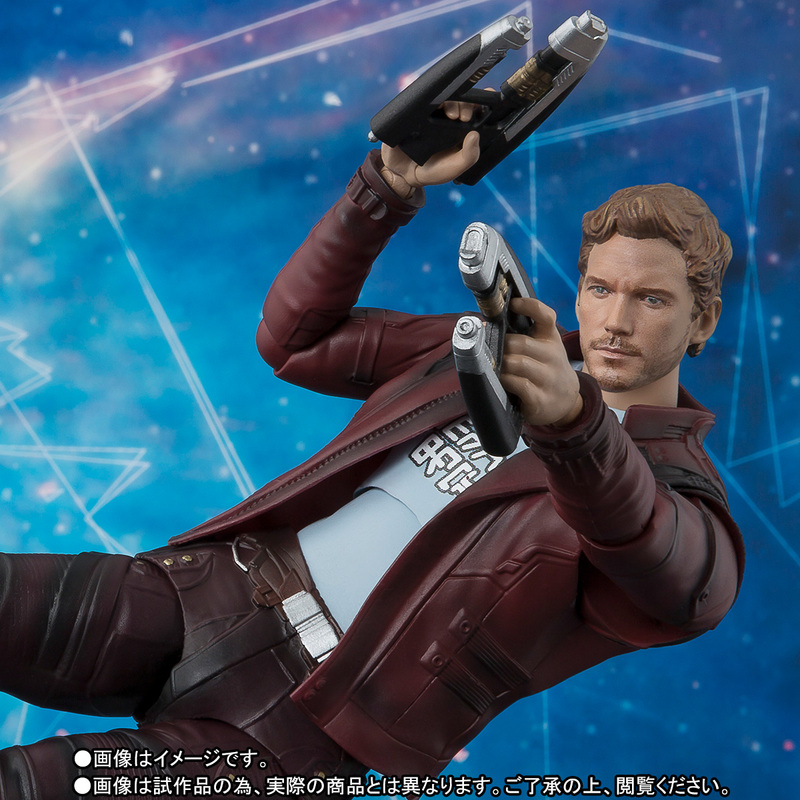 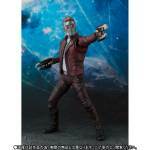 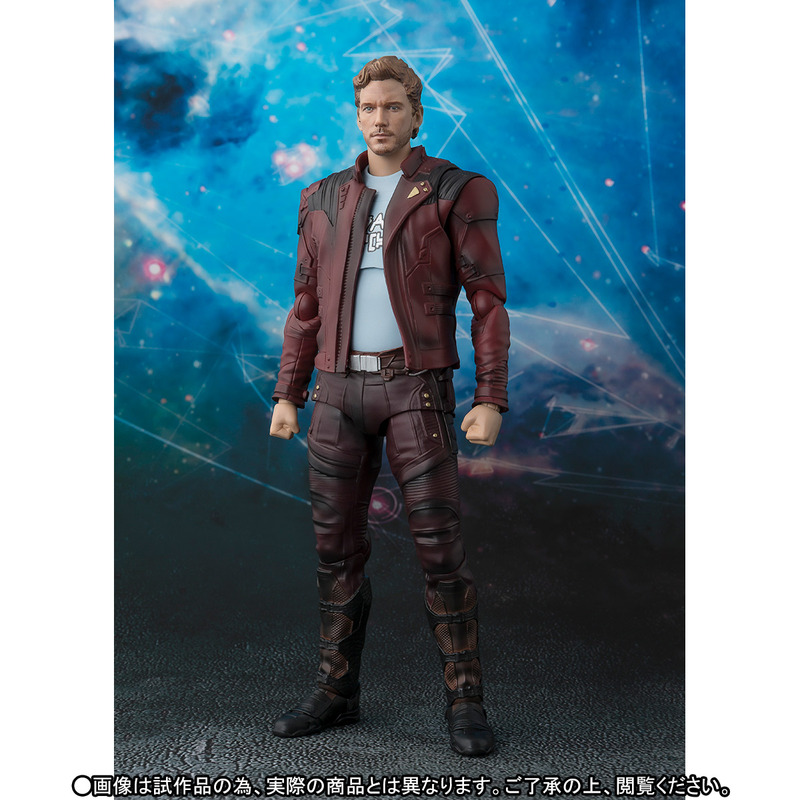 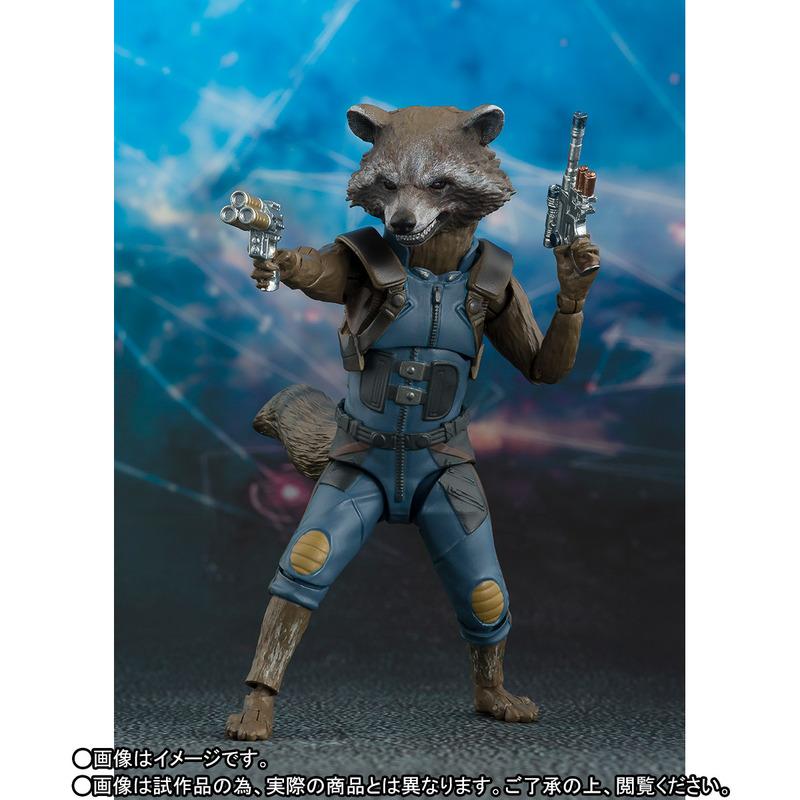 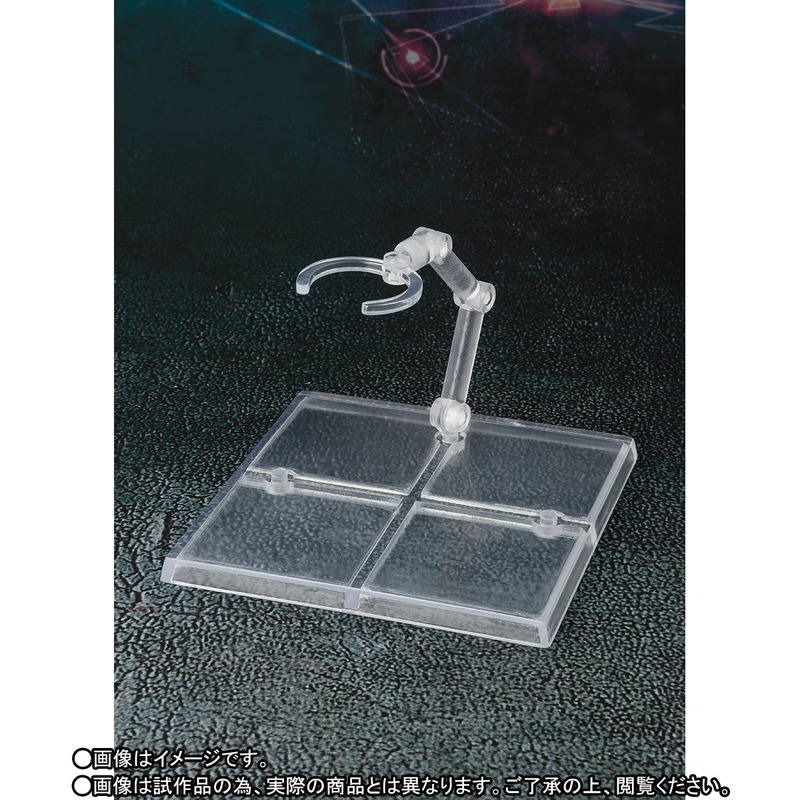 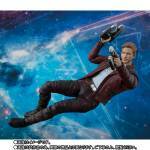 Star-Lord will be priced at 6,624 Yen (about $56 USD). 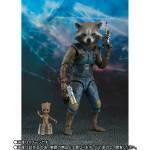 Rocket Raccoon stands a little over 3″ tall, while Baby Groot stands at just over a half inch tall. 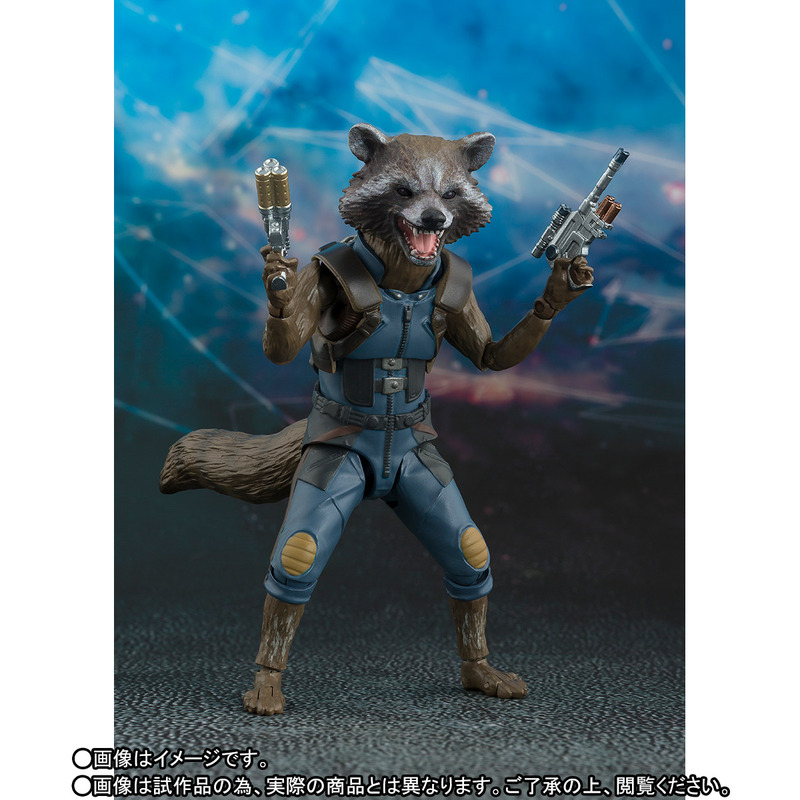 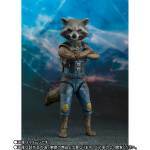 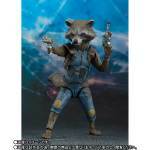 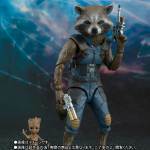 Rocket Racoon includes interchangeable head sculpts, two different blasters and a special figure stand. 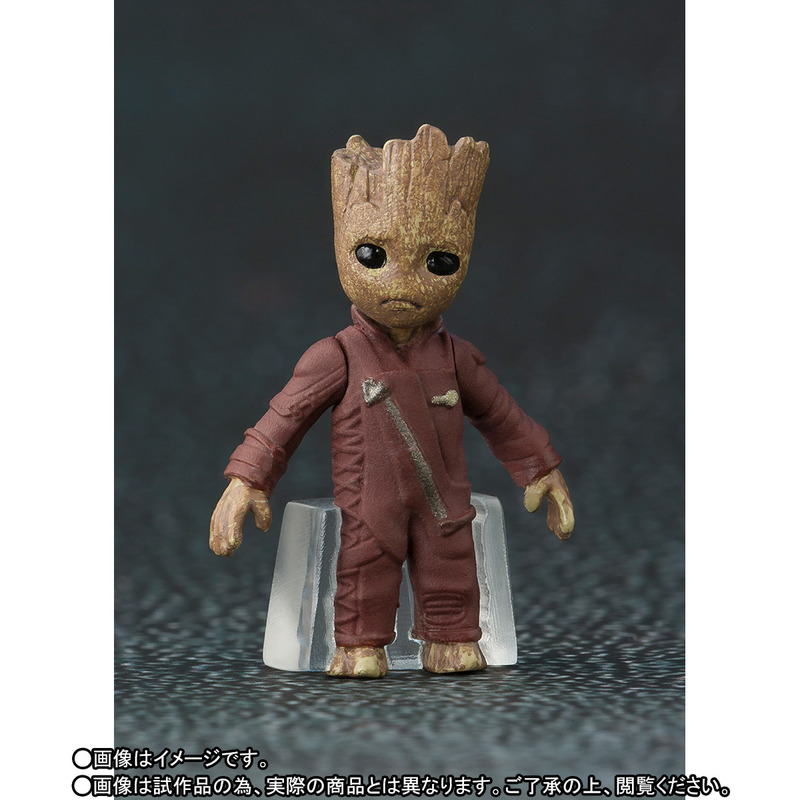 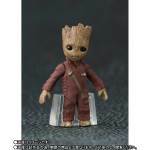 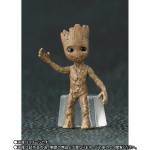 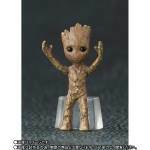 Included are both a standard and a Ravager version of Baby Groot with interchangeable heads. 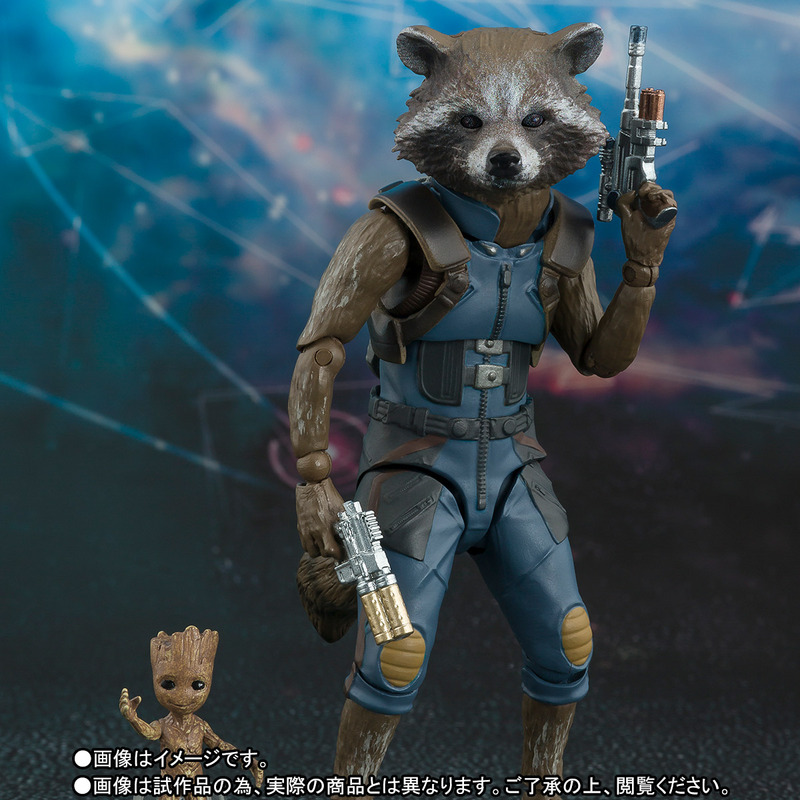 The Rocket and Baby Groot Set is priced at 3,780 Yen (about $34 USD). 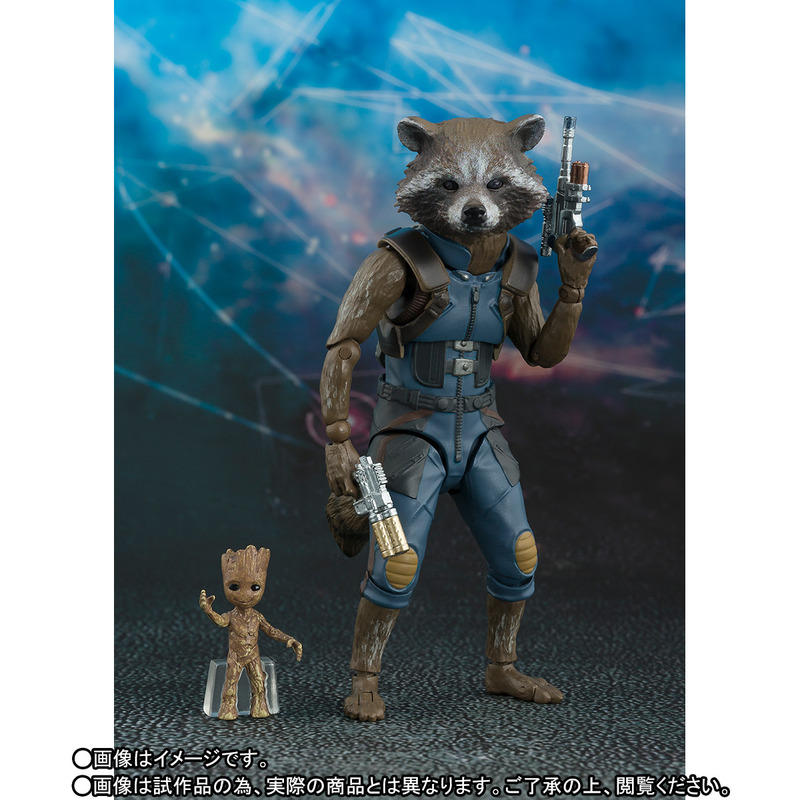 Both of these releases go up for pre-order tomorrow in Japan. 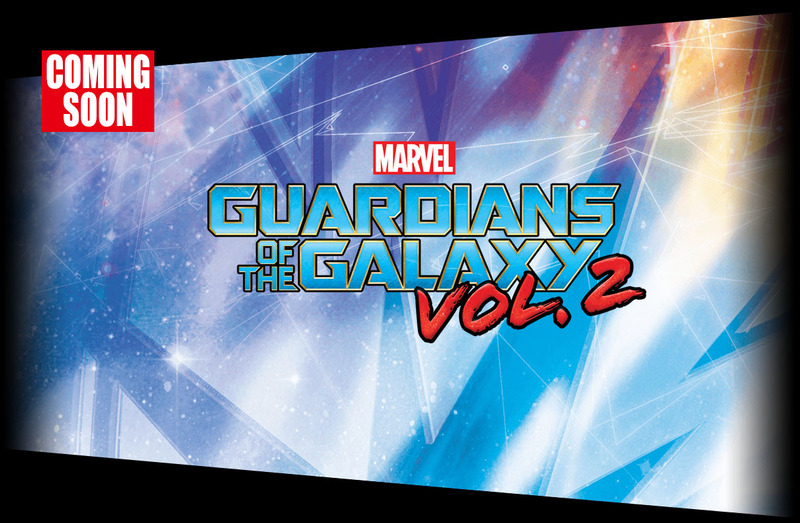 They are scheduled for release in September. Read on for the photos.